Let me ask you, do you want to be successful? More than likely the answer is yes. Let me ask the same question another way. What does it take to be successful? Do you consider yourself successful? The bottom line is that everyone wants to be successful and each individual’s definition is different. For some people success is defined as having a career, a college education, or being happy. 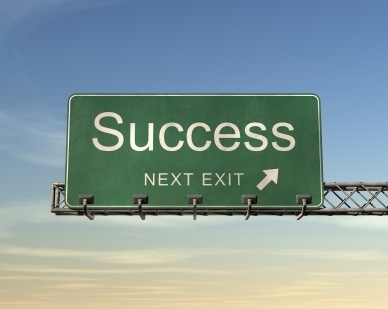 Regardless what your definition of success is, there are certain elements that are required for success. When I asked if you consider yourself successful, if your answer was yes, then what makes you successful? If your answer was no, well what is stopping you from being successful. Intertwined in both of these answer is the same principles and its just a matter of which side of them you are on. Like drawing a line and on one side its positive and the other is negative. Which side do you stand on? For example lets say you are successful because you have a college education. Well it took focus, discipline, and planning to achieve this goal. Getting your college degree may have led to a good paying job and you may be able to provide for your family and therefore you consider yourself a success. For another individual that doesn’t consider themselves successful is because of lack of discipline, focus or goal setting and as a result they have not achieved a college education. Now I’m not saying that you need a college education to be successful. What I am saying is that in any endeavor you need focus, discipline and hard work to achieve any goal. Its the principles involved that make the difference. Remember success is all in the way you define it that works for you in your life. If you feel that you are lacking these principles in your life then I encourage you to seek any program or opportunity that teaches and instills these. Some example are joining a sports, community service/volunteering, church groups, or joining the military. The bottom line is that if you want to be successful, figure out what you define as success, set goals, and apply the principles that result in success. To get the most out of anything you must take action! Like my high school football coach used to say:Practice, practice, practice. Thanks for reading and your feedback is welcomed. Aloha My name is Aiti Muck I’m very interested on the Army reserves position but i’m worried that my aged might be the problem . I have called once and speak with one of the recuiter from washigton D.C ask about the Army National guard to getting a GED so anyway He told me to ask if you guys have it also here in Hawaii Please let me know. Mahalo.